There are numerous tracking devices with varying specifications & configurations on the market that choosing the right product suitable for your needs makes a daunting task. Like everything else, some individuals make their decision based on the price of the device whilst others base theirs on the specifications, quality of the components and features. Acquiring the right device is about the most important decision you will make if you're planning on implementing a GPS vehicle tracking system. Listed below is a list that we have compiled to guide and assist you in making "the" decision. In summary all the info you see on your dash board plus many more additional data sent to you every 5 seconds or your choice of update interval. Backup battery is measured in mA, the higher this number the number the better but at the minimum you should be expecting 850mA. Backup battery becomes very important when there is a power failure such as when the vehicles battery is disconnected or when the tracking device is disconnected from the vehicles power supply. Vehicles working in remote areas such heavy equipment ( Caterpilar, excavators, bulldozers ) where GSM / GPRS signals are lost ( out of coverage area ), the events are stored in memory, when signal is restored the events are then transmitted. 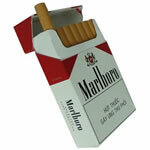 Memory is measured in MB or MiB, the higher the number the better, as a guide 1mb = 5 - 6 days. 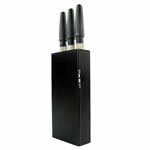 GSM signal failure can affect any vehicle that moves into a GSM black spot or limited coverage area. All GSM enabled devices are susceptible to be jammed, tracking devices included, some are able to detect and act on these signals whereas others are not so clever. When these rogue signals are detected, these devices react differently, some will quickly notify you or perform a pre-configured function. Some tracking devices switch between the different frequencies available, some will, after exhausting all the existing frequencies, shuts down (immobilise) the vehicles engine just as you would, when the vehicle is moved or taken unlawfully. can you spot the similarities between these gadgets? With the less sophisticated models, thier GSM signals are just jammed making the device think it's out of coverage area or "No Service" thereby rendering the device ineffective to send and recieve data and commands. If your vehicle happens to be using one of these models then it will become impossible to track or send any command to it. With the exception of the Law Enforcement Agencies, the use of these jamming devices can be illegal and against the law, so is taking someone's vehicle unlawfully or without permission. Remember these devices can be as small as the size of your mobile/cell phone but cost a fraction of it and as the images above shows, it's quite difficult to spot. The use of these devices is in widespread use than you may think, many office buildings, boardrooms, hospital & churches employ this technology to reduce the distraction caused by the ringing of mobile/cell phones, often these phones will display "no service"
An example of this is an effective Fleet Management System (FMS) cannot be accomplished without fuel monitoring, so the devices in our Fleet Management products range are equipped with specific hardware components capable of communicating and reading reliable data such as fuel levels, rate of fuel consumption and indeed the FMS data as outlined in the FMS protocol and framework. Similarlry our Track & Recover products which are aimed at high value vehicles that are more susceptible to be stolen are GSM/GPS Anti-Jamming equipped making them fool-proof and resilient. To help simplify the process of choosing the right product for your application, we have categorised our devices into the various services offerings. 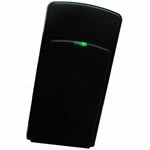 Our entry-level products, Track & Recover devices among other features are all equipped with GSM Anti-Jamming features to ensure that when your vehicle is taken unlawfully or stolen by even the most seasoned sophisticated car thief equipped with a hi-tech GSM Jammer, these devices will stand & hold and execute whatever commands that you have requested us to pre-program. 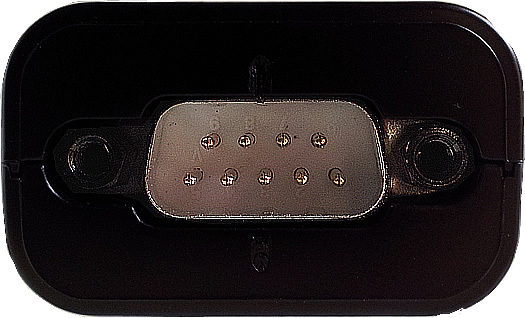 Example when the device detects a scrambling or jamming of its signals it can switch on the hazard lights and immobilise the vehicle to ease recovery. 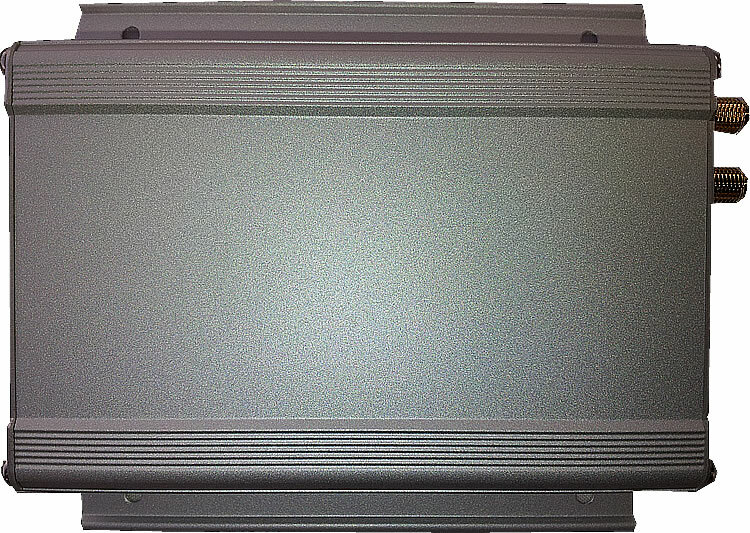 The STGS-818 is specifically designed for permanent installation in vehicles and assets of high value for the sole purpose of vehicle tracking applications. Equipped with Siemens BG2-W GSM module and a SiRF Star III GPS Receiver, its rugged metallic aluminum casing makes it the best match for in-car environments. An ignition input, 5 digital Inputs, 2 analogue inputs & 2 analogue outputs are provided and opened for sensors and relays, this makes it versatile for a varied configuration & applications. Not many tracking devices are fitted with the top quality Siemens Quad band GSM module with an external aerial and external GPS receiver the STGS-818 has. An 850mA/3.7V Li-MH internal backup battery and external power input/output of 8-35V DC ensures that if the vehicles battery is disconnected the STGS-818 will still be functioning as expected & it has been certified to function in a wide ranging operating temperature. Ten configurable I/O's provides an ACC/Ignition On/Off detection, two Analogue Inputs are provided to monitor Fuel, Temperature, Humidity sensors etc. two Analogue Outputs for turning on head lights/lamps/Speakers etc. The five digital inputs for monitoring whether certain doors are opened/closed, wipers On/Off, Air Conditioners, music etc and of course Bosch SPDT Relays to immobolise the vehicle, sound the horn etc. The STGS-818 is equipped with 16Mb flash memory to store over 90 days of tracking data or events when GSM/GPRS signal is lost or out of coverage area to be later transmitted when network service is restored. Remote Firmware upgrade (FOTA) means that, the STGS-818 can be upgraded with new software or features as soon as it's released by the manufacturer irrespective of where the vehicle may be so far as there is network coverage. The STGS-818 has GSM/GPS jamming detection that can be enabled to trigger output devices like head/hazard lights, immobilizer or buzzer when jamming is detected. The resultant event data will be saved to the device flash memory during the period of jamming and either one or both of the devices' two analogue outputs can be defined to action for jamming detection. Stores event data up to 90 days if there is no GPRS/GSM signal. The STUx, the baby in our STU series is a GPS Tracking Device that delivers positioning messages and in collaboration with our web application helps users to proceed with the analysis and the applications of vehicle transport, management, anti-theft, security, tracking etc. The STUx Tracking Device supports both Command over-the-air (COTA) and Firmware over-the-air (FOTA) upgrade to deliver additional functionality without physically touching the device once installed. In consideration of technicality and marketability, the STUx has so many excellences to be competitive enough to stand out in the market. With regard to the technicality, it saves and records more data even under inactive communication status and it also provides better power management, coexistence of GPRS and SMS modes than many in its class. Stores up to 20,000 GPS data logs if there is no GPRS/GSM signal. Fuel is one of the major costs facing Fleet operators on daily basis so we believe a device been passed on as Fleet Management capable will not be complete if it doesn't offer some kind of Fuel monitoring. It should be noted that our devices can only read but cannot write to the ECU of the Vehicle, simply put, if there is a fault indicator or code such as the "check engine", our device will not be able to reset it. All it does is reading the data and presenting it to you for the appropriate measures to be taken to fix the problem. Probably the most beautiful Advanced Vehicle Locator (AVL) ever produced, the STA1CAN matches its looks with functionality, build quality and reliability. 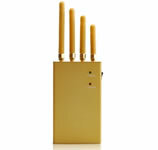 An all in one device, it has a built-in CAN chipset making it capable of reading and processing J1939 data. Meaning that the STA1CAN is designed to compliment the Fleet Management and Remote Engine Management service. The onboard GPS receiver provides users with location data including speed, direction, mileage and altitude whilst the onboard J1939 chipset provides vehicle control data. The accumulated data is stored in memory and then forwarded on to our control centre using its onboard GSM/GPRS module wireless transmission. Peripheral data indicates the status of various peripherals its connected to and controlled by the unit. Peripherals include, but not limited to, door locks/un-locks, starter interrupt, ignition, battery, engine and panic button. Motion sensor can control the status of the unit, no matter in sleep, idle or full power mode and thereby control the amount of current consumed by the unit. 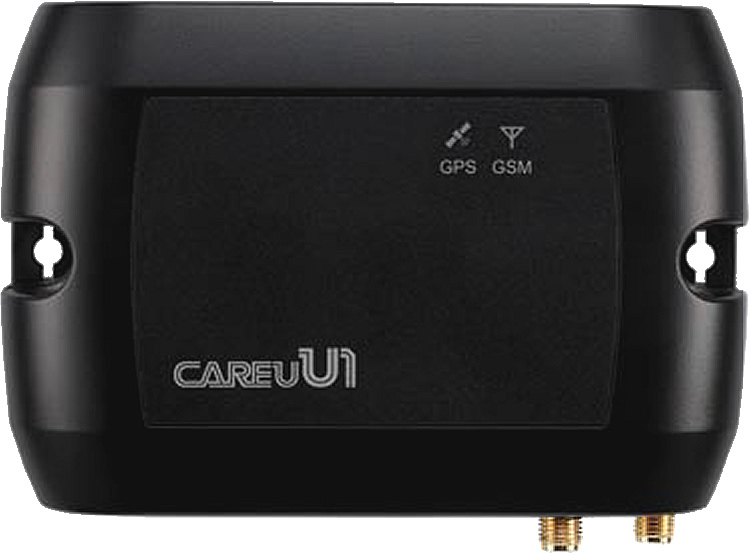 Backup battery and tamper sensing GPS Antennas primarily indicates loss of Main Power and interruption of GPS antenna connectivity The device supports Over-the-air firmware upgrade to deliver additional functionality without physically touching the device once installed. 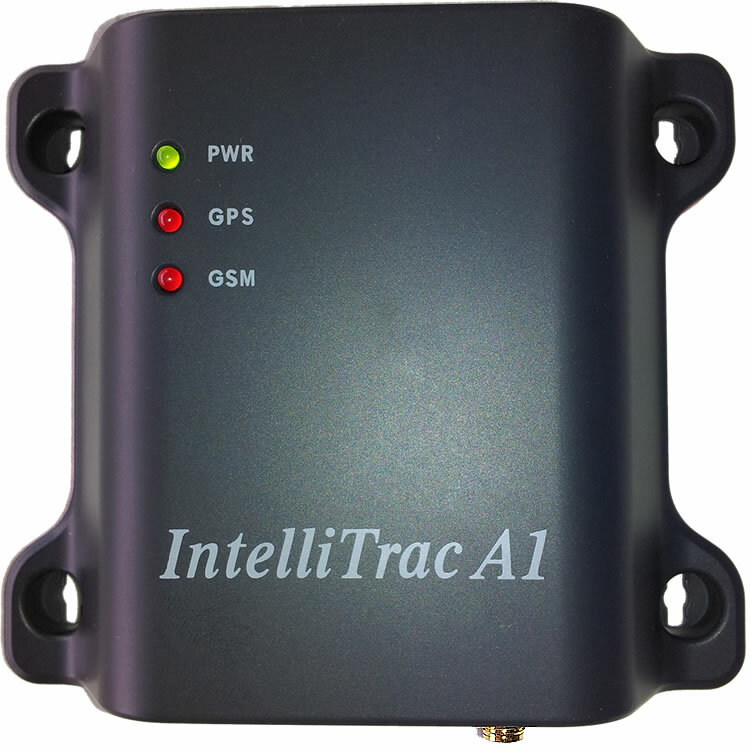 In effect the STA1CAN is an Advanced GPS tracking device and a personalized fully capable diagnostics machine for Newer Heavy Duty Trucks and Buses all in one that will be permanently installed in the vehicle. The A1CAN has a built in J1939 CANbus chipset making it capable of reading and interpreting engine data from any vehicle that is equipped with the J1939 protocol. This means it will read engine data from all Heavy Duty Trucks and Busses manufactured from 2006 to present. The STU1 Advanced Vehicle Locator is a device that integrates multiple applications of GPS (Global Position System), GSM (Global System for Mobile Communication) and GIS (Geographic Information Systems) with each other. Designed with the latest GPS technology, the STU1 used in combination with our STCAN Bridge delivers positioning and real-time Engine Management data by GSM wireless transmission to our control centre, which is then presented to our users for analysis and the applications of vehicle transport management, anti-theft, security and tracking. The device supports both Command over-the-air (COTA) and Firmware over-the-air (FOTA) upgrade to deliver additional functionality without physically touching the device once installed. Stores up to 625 hours GPS event data, based on a 15 second update 24 hours a day 1,250 hours on a 30 second interval if there is no GPRS/GSM signal. 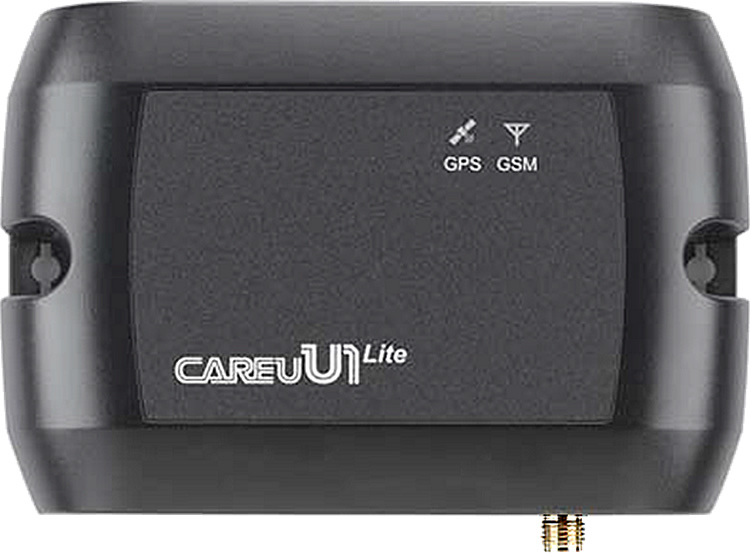 The STU1Lite Advanced Vehicle Locator is a cut down variant of our popular STU1 tracking device. With similar functionality as its bigger brother the STU1, the STU1Lite integrates multiple applications of GPS (Global Position System), GSM (Global System for Mobile Communication) and GIS (Geographic Information Systems) with each other. Designed with the latest GPS technology, the STU1Lite used in combination with our STCAN Bridge delivers positioning and real-time Engine Management data by GSM wireless transmission to our control centre, which is then presented to our users for analysis and the applications of vehicle transport management, anti-theft, security and tracking. Stores up to 500 hours GPS event data, based on a 15 second update 24 hours a day or 1,000 hours on a 30second interval if there is no GPRS/GSM signal. Our flagship Service, Remote Engine Management, is complemented by well-tested & industrial strength devices. Most cars and light trucks manufactured after the mid 1990's are equipped with the new OBDII (On-Board Diagnostics 2). This is in accordance of a set of standards laid out by the Society of Automotive Engineers (SAE) and International Standardization Organization (ISO). It described among others, the interchange of digital information between a Vehicle's ECU and a diagnostic scan tool. OBDII, through the years have got more sophisticated and reliable that at present, it provides almost complete engine control and also monitors parts of the chassis, body and accessory devices, as well as the diagnostic control network of the car. Our Engine Management products range comply with these standards and work with all OBDII compliant vehicles by connecting to the standard SAE J1962 diagnostic connector of the car to communicate via one of the standard OBDII communication protocols. It should be noted that our devices can only read but cannot write to the ECU of the car, simply put, if there is a fault indicator or code such as the "check engine", our device will not be able to reset it. All it does is reading the data and presenting it to you for the appropriate measures to be taken to fix the problem. From its inception in 1986 defined by the SAE and TMC, the SAE J1708's main purpose was to address the transmission of electronic signals and information among truck and bus components (i.e. Electronic Control Units or ECUs) to be used for an onboard network. It was developed for use in the heavy duty truck market and began emerging in heavy trucks in the mid 1990's. The SAE sought to establish this standard across all brands of heavy duty trucks in order to avoid the discrepant and proprietary protocols adopted by the manufacturers of cars and light duty vehicles. It should be noted that our devices can only read but cannot write to the ECU of these Trucks & Busses, simply put, if there is a fault indicator or Diagnostic Trouble Code (DTC) our device will not be able to reset it. All it does is reading & processing the data and presenting it to you for the appropriate measures to be taken to fix the problem. The J1708 Interpreter Scan Kit is an add-on accessory to the U1 that can be connected to Older Heavy Trucks and Older Buses through the standard OBD (On-Board Diagnostic) connector or a CAN Hi/CAN Low cable to read diagnostics information and other important engine data of the vehicle. This information and data read is then passed on to the U1 Advanced Vehicle Locator and then sent to our server, which is then presented to you. 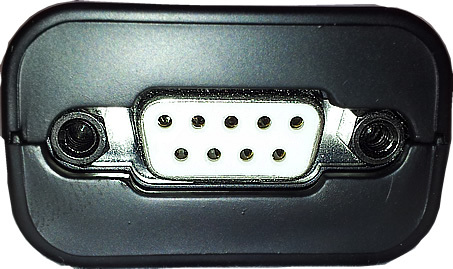 The J1708 Interpreter interfaces the vehicles OBD to get engine and diagnostics data from the Trucks/Bus ECU or on-board computer and it translates and processes the obtained data. This information is then passed on to the U1 AVL (Advanced Vehicle Locator) device for further processing. The resultant data is then uploaded on to our server for further processing and analysis, which is then presented to you in your account in a matter of seconds. It was developed for use in the heavy duty truck market and began emerging in heavy duty trucks in the mid 1990's. The SAE sought to establish this standard across all brands of heavy duty trucks in order to avoid the discrepant and proprietary protocols adopted by the manufacturers of cars and light duty vehicles. 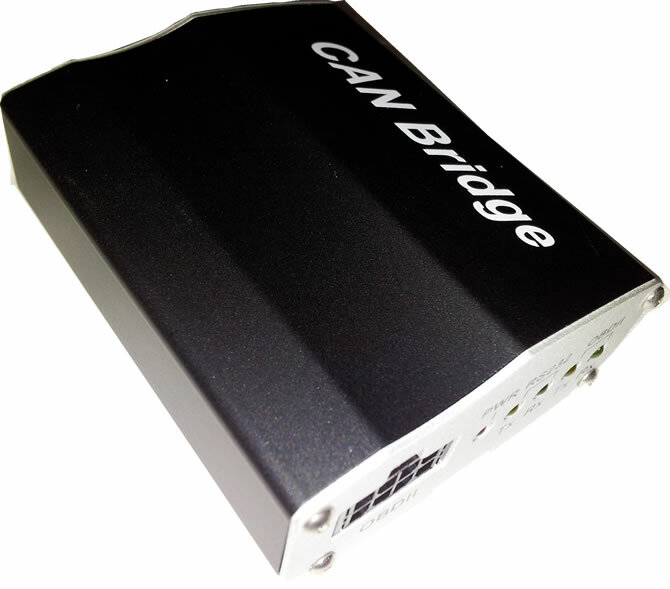 This CANbus Scan Kit is ideal for Newer Heavy Duty Trucks and Newer Buses. Although it looks physically similar to the one used in cars and Light Trucks, the wiring are different and the firmware that is optimized for Newer Trucks and Buses are also different to those geared towards Cars and Light Tucks. We will focus our attention on this hardware running the optimized firmware version for newer Trucks and Buses.